When we see a Rose in bloom; what do we truly see? Is it just the colour, or perfume, or does it hold a spiritual key? Is it just a flower, or a connection to the Lord God above? To answer the question, it is much more; it is a symbol of God’s total love. 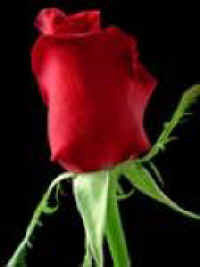 The beauty, the richness, the thorns symbolizes God’s gift to mankind. A more fitting symbol, nowhere else will you ever find. Hold the rose, look at the rose, smell the rose and saver the peace today. Connect to the Divine; let it shine upon you without delay. Through that rose you have unlocked that sacred door. Anxiety and stress will dissipate. They will be no more.